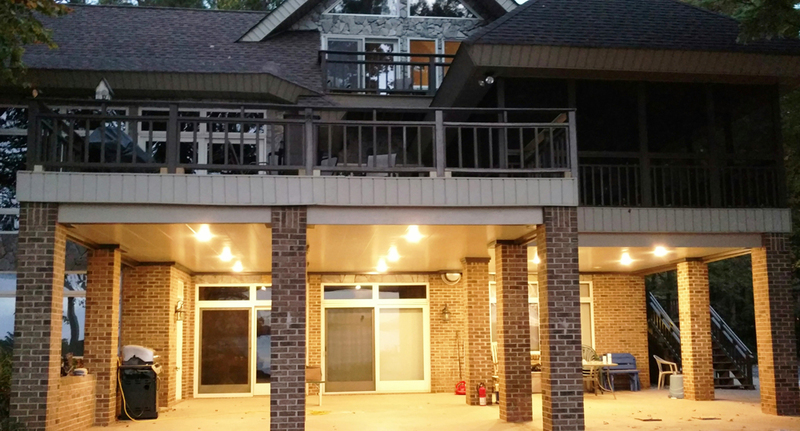 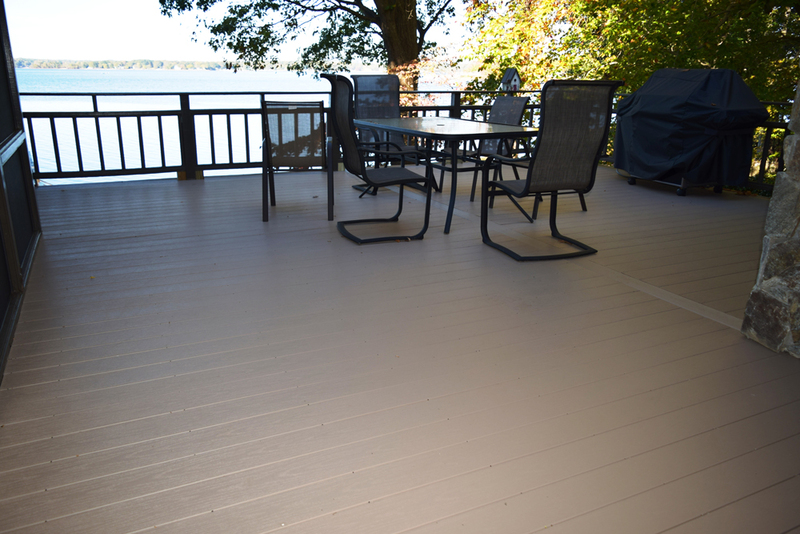 We were hired to replace all the old rotted boards on this deck and to make the lower patio space more functional on this beautiful Lake front home. 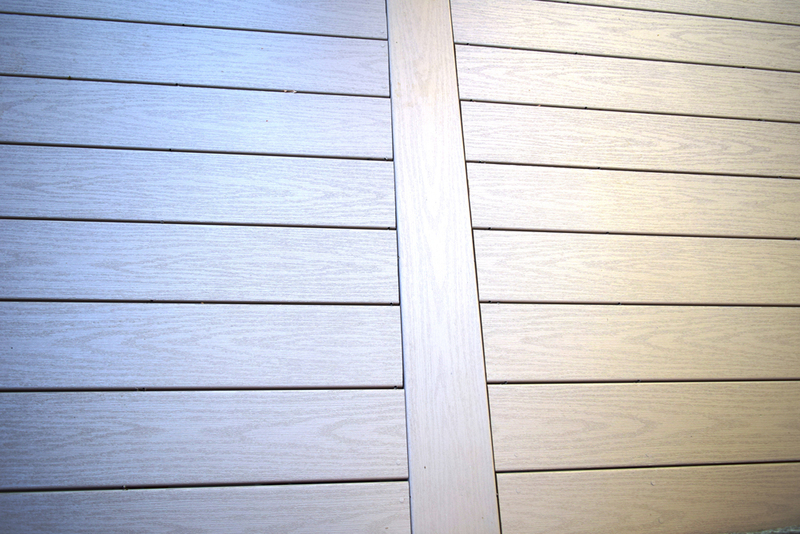 We recommended a PVC decking by Wolf with a 25-year warranty. 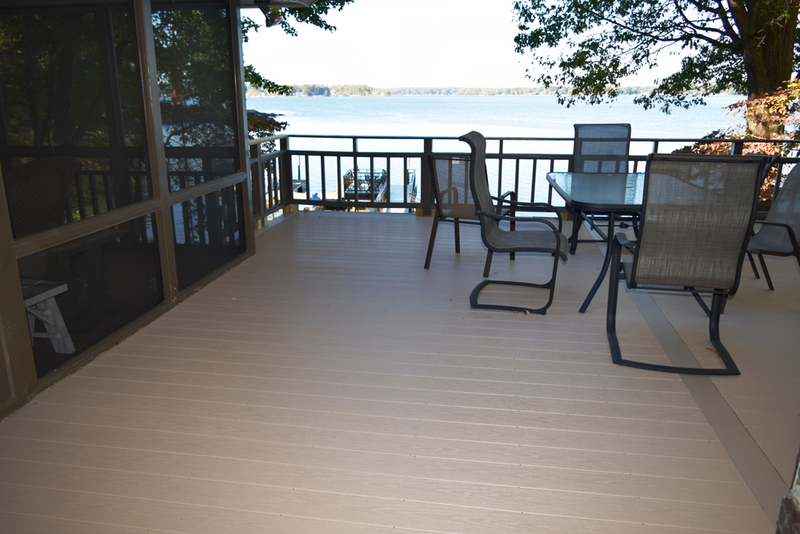 We recommended blind screwing all the decking boards to hide the hundreds of screws that are typically seen on the surface of a deck. 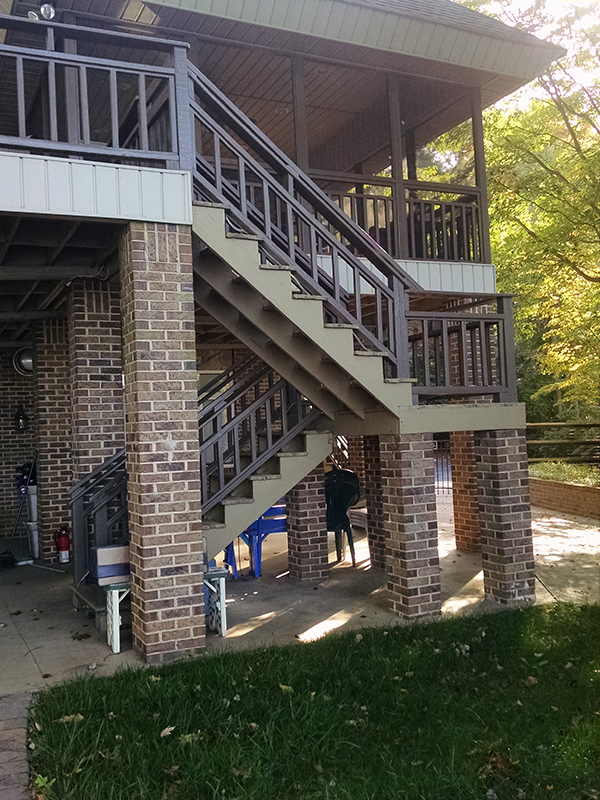 This project also included removing an old bulky set of stairs that blocked the view of the lake from the lower patio. 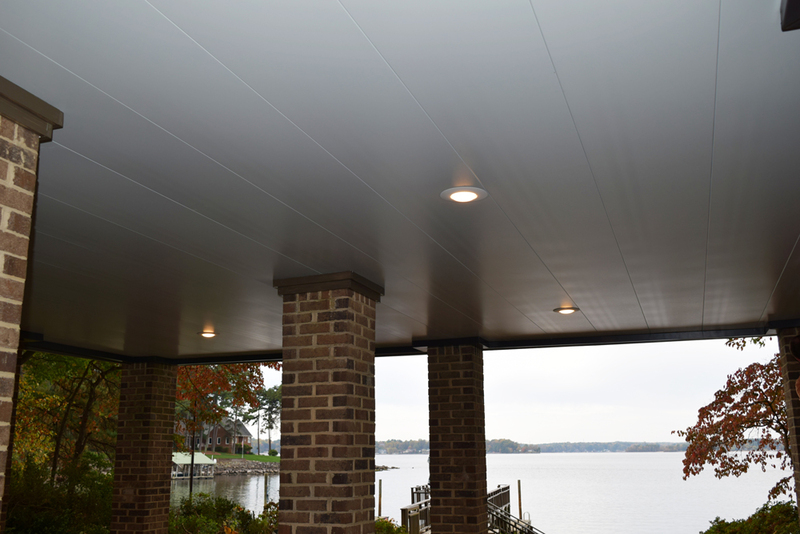 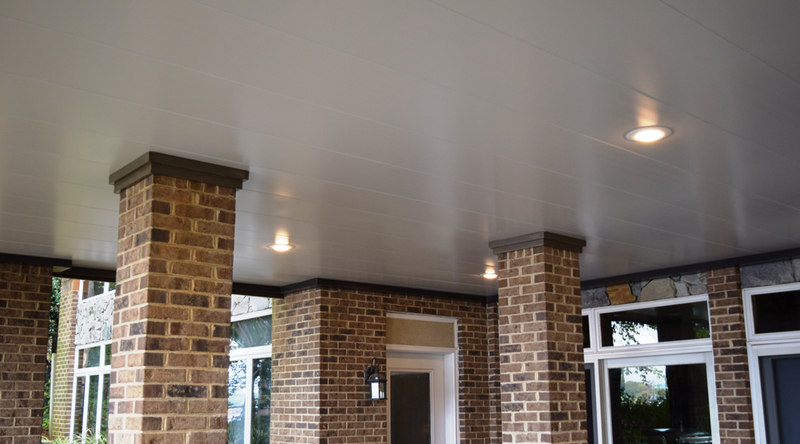 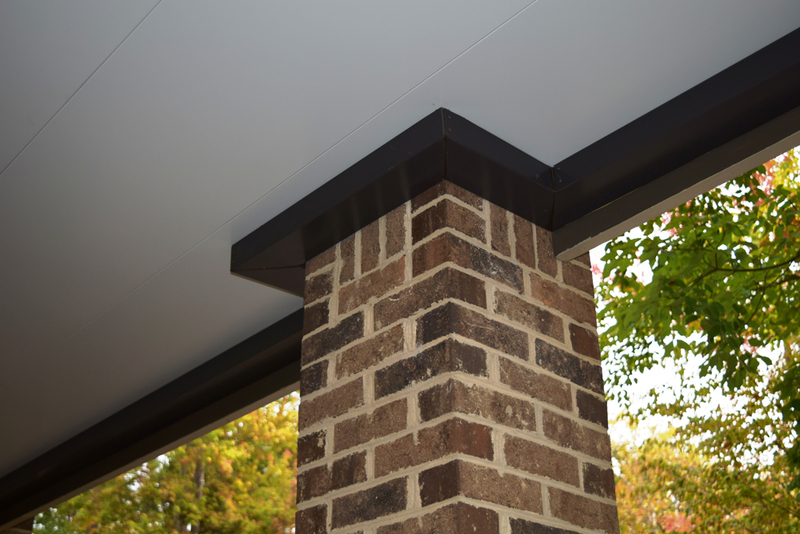 We installed an underdeck ceiling system to create cleaner and brighter covered patio that also acts as a water proof ceiling. 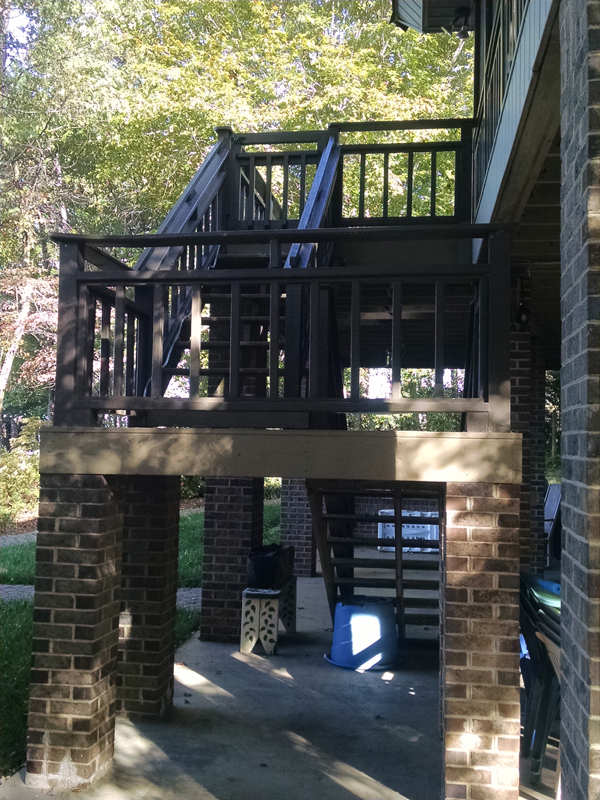 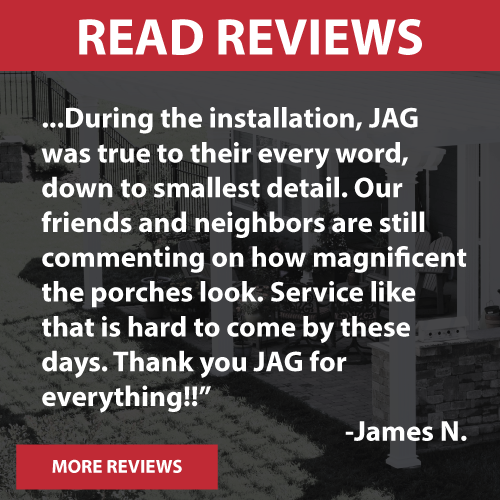 Now this client can use the lower level patio that is 100% protected from rain and dripping water from above. 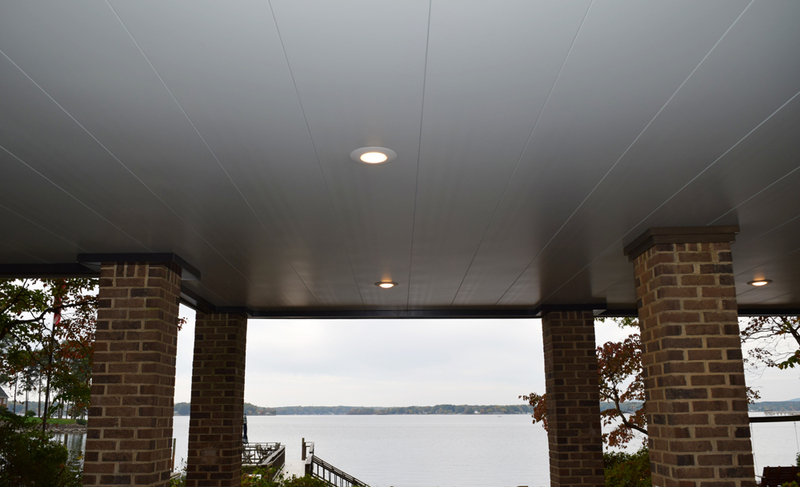 The recessed can lighting incorporated into the ceiling helps light up the patio area which was once a dark space. 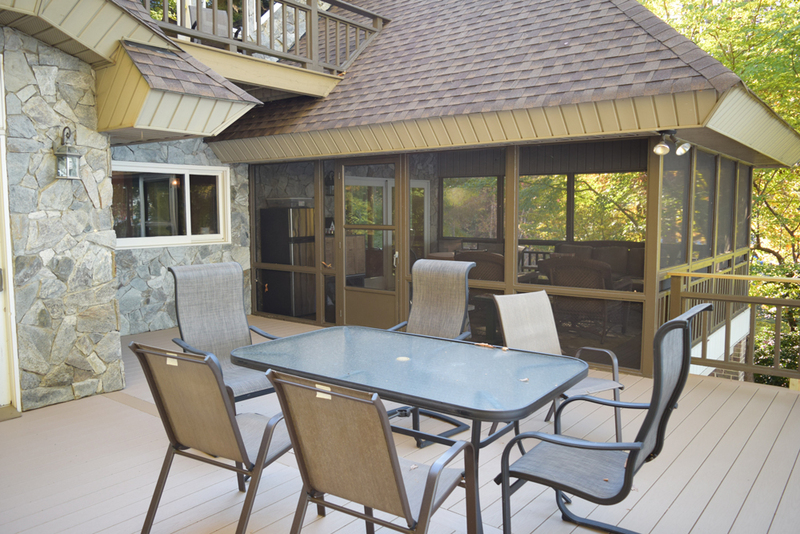 Now the home owner can use the dry and open space to enjoy the view of the lake even on a rainy day.